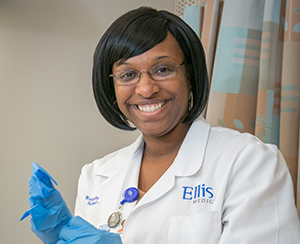 Ellis is rethinking emergency care. We’re locating facilities where our communities need them most, collaborating with emergency first-responders and streamlining our processes at every stage to get patients into treatment faster and save lives. Ellis Medicine's extensive restructuring efforts focus on providing the proper level of care in the proper location. Emergency care is a priority in this initiative. The expanded and modernized Ellis Hospital Emergency Department has allowed us to handle all emergency care cases in Schenectady county in a single location. In addition, the Medical Center of Clifton Park has helped Ellis bring care closer to people in Southern Saratoga County, one of the fastest growing areas of the state. Added physician and nursing staff, plus 17 additional treatment rooms help ease the congestion that came with unifying three hospitals into one. An electronic Emergency Department Tracking Board and electronic health records that help provide greater efficiencies, enhanced communication among caregivers, and ultimately provide further quality and patient safety improvements. Ellis collaborates with EMS professionals by donating enhanced EKG units that can transmit EKGs directly to the ED, helping to recognize heart attack patients even before they arrive at Ellis. The Sexual Assault Forensic Examiners program (S.A.F.E) at Ellis hospital strives to help victims of sexual assault to begin the healing process and to assist with obtaining forensic evidence after an assault. 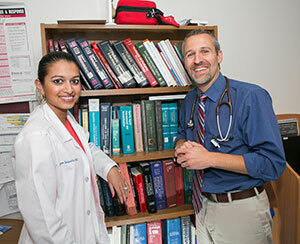 We provide care for patients in need of our expert care from Schenectady and all surrounding counties. The Ellis Hospital S.A.F.E. Program is staffed by registered nurses who have advanced education and training in medical-forensic examination including collection of forensic DNA evidence, evaluation of pattern injuries and pathognomonic wounds as well as training in forensic photography. Along with forensic training as detailed above, our nurses partner with our emergency physician staff for sexual assault survivors with up-to-date guideline based appropriate medical care. Our S.A.F.E. nurses provide comprehensive care for the patient while in the Emergency Department. 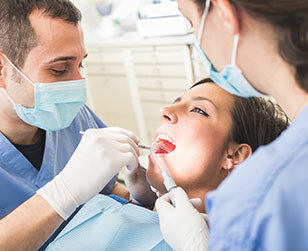 This also includes helping the patient to obtain care after the evaluation in the Emergency Department to continue their recovery, both physically and emotionally as well as testifying in court on the patient’s behalf in the case of a trial. The Ellis Hospital Emergency Department S.A.F.E. program partners with Victim Advocacy Services of Planned Parenthood Mohawk Hudson, Inc. to provide patients with advocacy and accompaniment through the forensic exam, police statement and criminal justice proceedings, including providing expert testimony. The S.A.F.E. program is provided at no cost to the patient through the New York State Office of Victim Services. This includes the forensic exam, as well as any medications needed. Any victim of sexual assault should go immediately to the Ellis Emergency Department or to the Medical Center of Clifton Park. For patient privacy, at Ellis Emergency Department, patients need only to ask for the “SAFE room” and they will be brought immediately to our patient room dedicated to caring for sexual assault survivors. Please contact Diana Graziano R.N. at (518) 831-8556 with any questions of concerns. We have staff members dedicated to the continued development of the S.A.F.E. program as well as the providing continuing education for our providers. Diana Graziano R.N. is the clinical coordinator and Dr. Joseph Vukovic M.D. is the medical director of the Ellis Hospital S.A.F.E program.